The Fiat Uno was a supermini car made by the Italian manufacturer Fiat. The Uno was sold from 1983 to 1995, but production still takes place in other Countries. The Uno was launched in January 1983 to replace the older Fiat 127. In 1984 it was voted European Car of the Year. Initially, the Uno was offered with the 0.9 litre (903 cc) OHV, 1.1 litre (1116 cc), and 1.3 litre (1301 cc) 138-series SOHC petrol engines and transmissions taken from the 127. The 1.3 (1300 cc) diesel (not for the UK market) engine was launched a couple of months later. The Uno's badging was by metric HP: 45, 55, 60, 75 or 90. The Uno was available as either a 3 or 5-door hatchback. The Uno had MacPherson strut independent front suspension and twist-beam rear suspension with telescopic dampers and coil springs. In 1985 the 1.0 litre (999 cc) SOHC Fully Integrated Robotised Engine (FIRE) powerplant was introduced. This was a lighter engine, built with fewer parts, and gave higher performances and more economy, in comparison to the older and more conventional OHV (903 cc) engine. I'm very love-taken with this car, since it was my very first car. 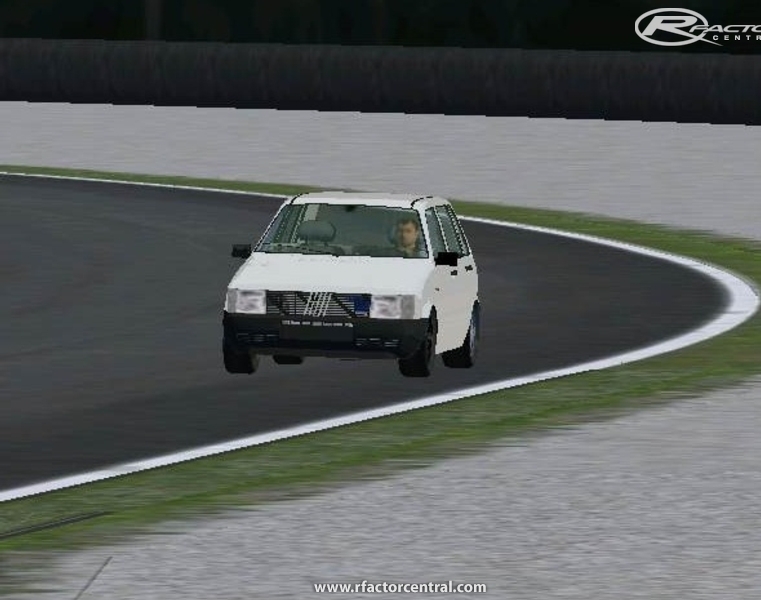 There are currently no setups for Fiat Uno 45 FIRE. Add a Setup. There are currently no car skins available for Fiat Uno 45 FIRE. If you are a painter you can share skins for this mod via the Car Skins area. Visit the Spray Booth for painting tips & tricks. If you are into making 'novelty' tracks, how about a track on the Moon or Mars? Perchè non fare la uno turbo ??? Is there any chance the newer fiat uno version files be uploaded to another file sharing site please? Beacuse of the sopa action, I cannot access 90% of hosted rfactor mods that are hosted on mediafire. Ciao Alessandro! purtroppo neanche io sono una cima con photoshop, al massimo posso dirti come faccio io ad inserire delle foto o delle clip o delle scritte. comunque io ho trovato una piccola guida, molto semplice di qualche pagina e con immagini "chiare". credo sia sufficiente per fare un buon lavoro. dimmi tu! p.s. : dicono che fare i circuiti con Bobs Truck Builder sia molto semplice. io avrei intenzione di farmene un paio con i dati presi dal GPS, sono strade realmente esistenti nei dintorni di casa mia. che dici, ce la faccio nei 15 giorni di prova del programma? o meglio: sai come fare? Argesacher thanks, maybe you're right. But I really like racing via LAN with my friends, and would have loved differentiate our UNO, for our personal pleasure. We are Italians and some are very attached to this machine. Thanks anyway for your answer. the UNO 45 Fire have not DDS file. How I can make some new skins?